"You’d think that anything print in times like these would be something that less and less people invest into. But in fact, that couldn’t be further from the truth. The industry has actually never seen so many independent magazines; some even speak of an indie revolution. If you look closely, there’s a new magazine out (what feels like) every day, and stores are packed with tons of hyper-designed magazines fighting for your attention. In this industry, few people take on an even bigger challenge than making a print mag that aims to be successful. 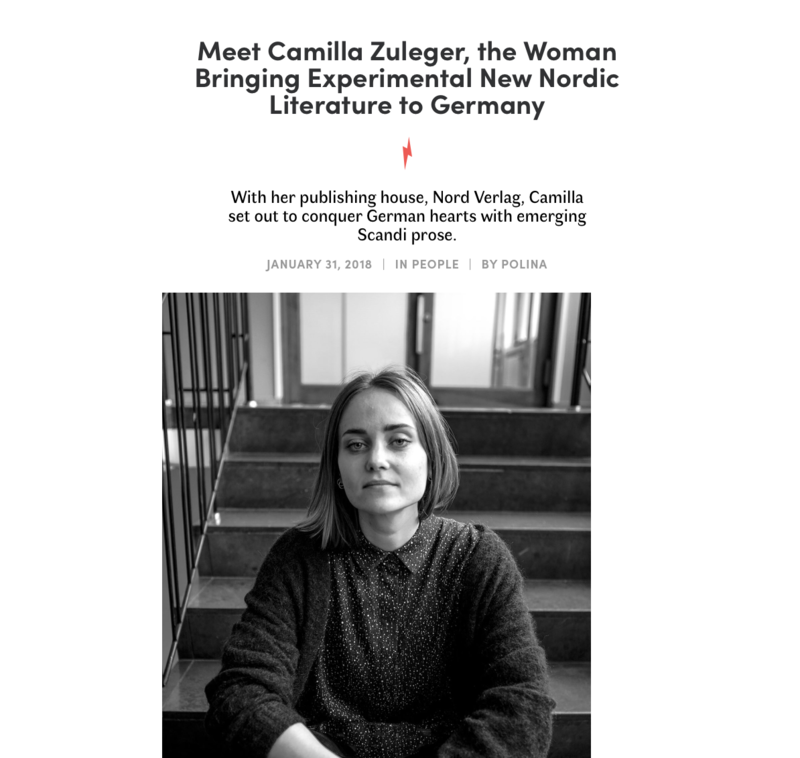 But Camilla Zuleger, founder of publishing house Nord Verlag, is one of those upping the challenge." Verlegerin Camilla Zuleger spricht mit Monique Schröder über ihre Liebe zum Papier, Poesie und Selbstvertrauen.